OK, so this isn't working. But I don't want to throw in the towel just yet. I still feel that telling your story, whatever that story is, is important. I has been almost a year and 1/2 since TSM's start. I still think journaling your story, whether in conjunction with the pretty designed layout or on it's own with a smear of paint, is important. So we are going to revamp a bit. While we figure out who will be present, who is on break, and what the schedule will be, we will still present a "challenge" on the 1st... THIS will be the "easiest" of all challenges! I promise. And it will have a prize this time too! We WILL be doing things differently. That I do plan. Bring a friend. Grab a latte. 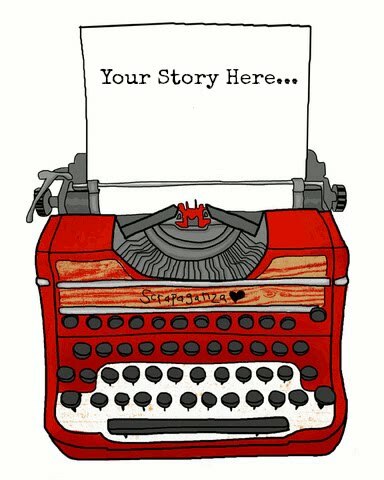 Tell your story! Looking forward to it Penny and can't wait until I can get back into the swing of things! Can't wait to see all the great creativity and stories! I will be checking out the new challenge :) Can't wait! !